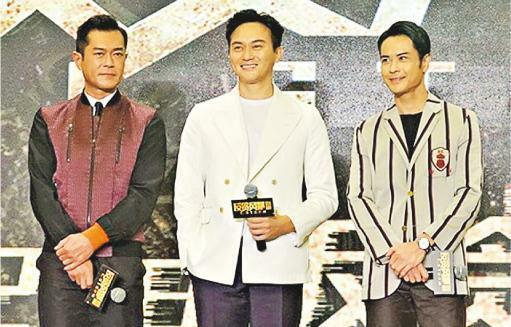 [2018.06.01] DAYO WONG HAS NOT CONFIRMED "RETIREMENT"
Dayo Wong Tze Wah recently shut down to prepare for his final stand up comedy show in July. Reportedly this time he made HK$ 100 million, enough to retire. "God Tze Wah" denied that. He said that he did not have the guts to imagine and stressed that he never confirmed "retirement", only "putting away the mic". 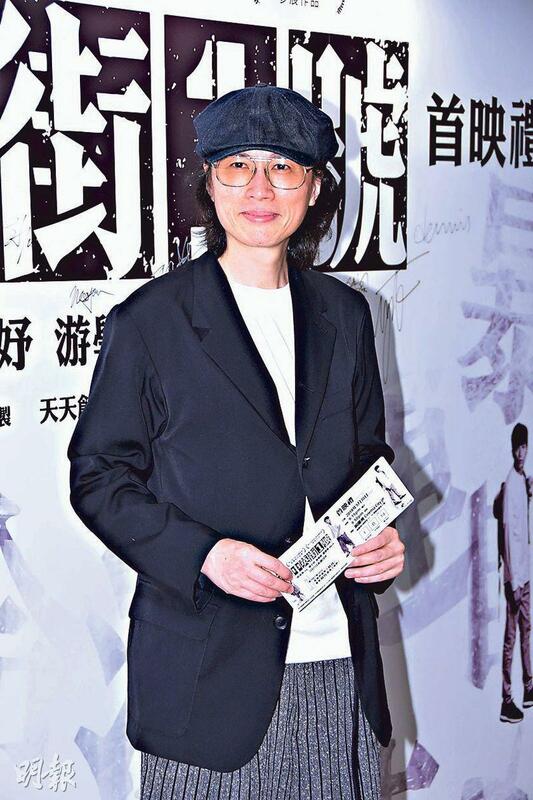 Tze Wah two nights ago deliberately "came down the mountain" to support his friend's film premiere. Aside from cast members Fish Liew Chi Yu, Lo Chun Yip, other industry insider supporters included Irene Wan Bik Ha and Cheung Tat Ming. 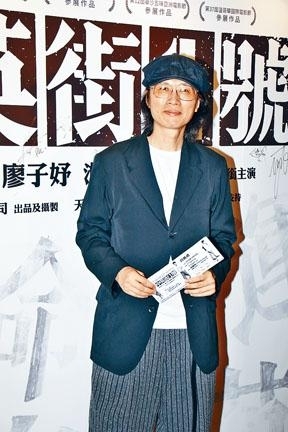 Tze Wah said, "My first few films were (Derek) Chiu Sung Kei directed, he was the first director in my life. Originally during this period I wouldn't see anyone, but I deliberately came to show my support. When he asked me he didn't make much, this time I am not in it it should be a big hit, haha." Tze Wah revealed that his stand up comedy would involve sensitive subjects. He said, "My show is sensitive every time, it would be sensitive in a variety of areas, like conceptually or various ways. So I remind everyone that friends under the age of 18 will not be admitted. Lately coming up with ideas and practicing truly have been very tough." Reportedly his performance would bring him HK$ 100 million, so he has made enough to retire. Tze Wah said, "I don't dare to think about it, I haven't even thought about it. The organizer didn't tell me this price, and I haven't confirmed retirement. I am only putting away the mic. Maybe Chiu Sung Kei would ask me to make a movie. (Would you accept sensitive subject movies?) The most important would be the character and the script, as I get older I have become more demanding. I need coordination in every aspect." Earlier much thinner, two nights ago Tze Wah looked fuller. He said, "I want to be a little thinner, but I can't control my stomach. I have always been very gluttonous. The Yu Lok Tin (WAR OF THE GENDERS character) period was the most normal, my hair was too. I am heading toward Yu Lok Tin." [2018.06.01] AIMEE CHAN'S SON ASKS: WHERE ARE YOU GOING? The Kathy Yuen (Tong Yi) starred film WHEN SUN MEETS MOON (MAU YUT MAU YUET) two nights ago held its premiere. Director Benny Lau Wai Heng, actors Aimee Chan Yan Mei, Hedwig Tam Sin Yin, Donny Summer (Ha Siu Sing) attended. Lead actor Daichi Harashima had to return to school in Japan and was unable to attend, but he sent a video to wish a good performance for the film. Aimee appeared with her husband Moses Chan Ho. They admitted that it was a rare chance to be able to leave their children, but Chan Ho said that when they left their son chased them and asked, "Where are you going?" First time lead actress Tong Yi said that she has already seen the film four times, each time she was moved to tears. Thus she already brought a lot of tissue with her. The night before she did not dare to watch it again to avoid appearing with eyes swollen. As for the box office, Tong Yi was no worried about the box office pressure. She would also pay out of her own pocket to book a show and treat friends to the film. Would her boyfriend Ken Hung Cheuk Lap show his support? Tong Yi said, "Every one of the colleagues at the company would come. (You can hold your boyfriend and cry when you sit next to him). When I sit with the director, I can hold the director and cry. Lately with all the promotions I see the director more than my family." Was Tong Yi afraid that her boyfriend would be jealous? She said, "Earlier I held Daichi Harashima and cried. He held me too, he even said that as soon as he held me he was all stiff. However when I held him I was all stiff too, since Daichi is young fresh meat." Chan Yan Mei and her husband Chan Ho attended the premiere together. They both joked that it was rare opportunity to ditch their children and spend a date night at the movies. How long has it been since they had time for just the two of them? Aimee said, "Yes, it's been a good few months." Chan Ho explained that free time was hard to come by for them as parents. Two nights ago at the movies they did not dare to stay out too late, otherwise the next morning when their daughter gets up they would have to follow soon. Has their son learned to take care of his sister yet? Chan Ho said, "The older son is still too little, I am looking forward to him to be able to take care of himself first. Then it would be much more comfortable. When we were leaving our son asked us, 'Where are you going, can I come?' However I told him the movie was not suitable for children. They might not understand the ones about love." Aimee also said that their children have never seen her act because at home they rarely turned on the television. Mainly they would show some educational cartoon for them. When they would be grown then they would be able to relive their parents' performance. As for the summer, Chan Ho said that he would have a new series to work on. His wife would take the children to Canada for a month and see the grandparents. Vincy Chan (Wing Yi) who came to support Tong Yi did not know how tear jerking the movie would be. Luckily she had a lot of tissues on her normally. She said, "I am a crybaby, I would cry even from cartoons. Earlier when I watched BEAUTY AND THE BEAST as soon as I heard the music I already wanted to cry. Maybe watching a fairy tale made me feel time spares no one." Would her boyfriend go with her? Wing Yi said, "He didn't come. Normally he would make fun of me for crying over the smallest thing. He wouldn't watch cartoon with me." Reporters joked that Wing Yi and her boyfriend love to watch romantic action film. She said, "We would save those to watch at home, but I can't watch it with him. I would feel embarrassed, like 50 SHADES OF GRAY I watched it before he did." 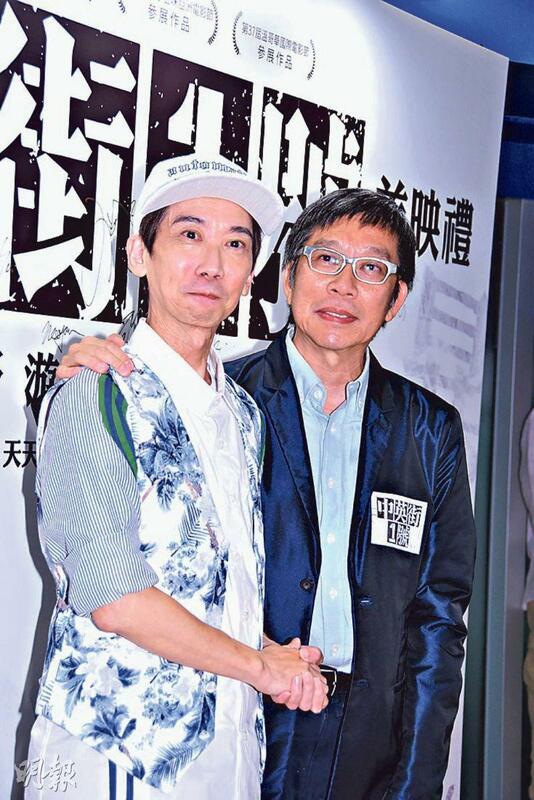 "Yu Fa" Lee Kin Yan and "Sugar Cone Fai" Cheng Man Fai's new film WONG GOK LO PAU CHONG DONG BUK (MONGKOK OLD GUNS IN THE NORTHEAST) two nights ago held a charity premiere. Lee Kin Yan said that in the film he would have a family scene that he has never played in his career before. "I have been working in the Mainland for 15 years and made many different films. Some have already departed from cross dressing, I have even played an emperor and a hero. This time I would dress as a woman still, I would be abused then I would rise." He said that the film had a Hong Kong and Northeast crossover element, with the Northeast dialect and "HK Putonghua" it would be pretty funny. "I originally didn't know how to speak Putonghua, while working in the Mainland I learned slowly. Now others understand what I am saying; instead Sugar Cone Fai's Putonghua, no one understands too well. Luckily his body language is decent." 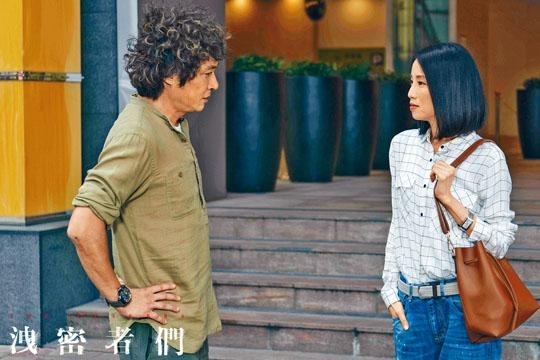 Also a writer, Cheng Man Fai revealed that he gave his on screen first kiss to Mainland actress Xi Meili. It was her first time too. Lee Kin Yam was envious. "He told me sorry, next time he would arrange it for me." Speaking of Stephen Chow Sing Chi's current MERMAID 2 production, would they take part? Lee Kin Yan said that he was busy with a series in Hengdian then a detective film with Cheng Man Fai. He might not have room on his schedule. "He raised us. Because of his movies so many in the Mainland like us. Now we have the chance to play the leads. I am grateful from the heart for all his help along the way, without him we wouldn't be here. I really hope to have a chance to work with him again." Kathy Yuen says that she only has Daichi Harashima in her heart. What would Ken Hung do? 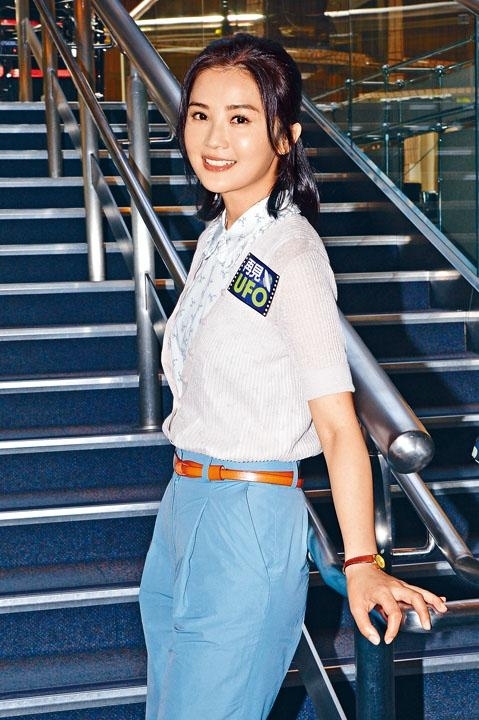 Kathy Yuen (Tong Yi) yesterday promoted her film WHEN SUN MEETS MOON (MAU YUT MAU YUET) on the radio. For her first lead role, she said that as the release grew closer she got more nervous. For days she has not been able to sleep due to stress. She said that lately she attended 50 advanced screening audience appreciation events, the response has been great and thus she got a shot of confidence. How has her boyfriend Ken Hung Cheuk Lap reacted? Tong Yi said, "Now in my heart is only Daichi Harashima, but he left me and returned to Japan for classes. He left me alone to promote and attend the premiere, I seem to be missing half of my body. I hope the film would perform well and he would come to Hong Kong to celebrate." Tong Yi once promised to skinny dip to celebrate a good box office performance. "The director, Daichi Harashima and I would skinny dip separately. I feel I can swim, at sea no one could see anything. However I believe no one would want to anyway, my figure isn't good enough. I would leave the skinny dip to the guys. I would try to cook for the entire team." Kathy Yuen (Tong Yi), Daichi Harashima and director Benny Lau Wai Heng yesterday attended an audience appreciation event for their film WHEN SUN MEETS MOON (MAU YUT MAU YUET). Aside from interacting with the audience, Daichi Harashima also gave protection charms that he brought from Japan to give to the audience. 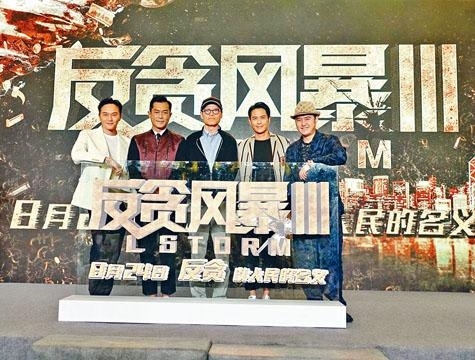 Tong Yi said that the film will not open until the end of the month, but lately every week advanced screenings were held. She had confidence in the film because at each advanced screening the audience response was rather positive. Many friends said that they would book shows to watch. Would she ask boyfriend Ken Hung Cheuk Lap to dig into his wallet and book a show? She said, "I am the lead actress, of course I will be booking the show. I have already treated many friends to watch the film." She continued that her boyfriend has already seen the advanced screening and felt that in the film she was a kid but actually had a gentle and cute side that he has not seen normally. However her boyfriend did not ask her to turn gentle and she too felt that being herself would be the best. In the film she played a student. Has his boyfriend asked her to wear school uniform more at home? Tong Yi said, "No need, I wore it so much in the movie. Everyone likes my femininity more."